Celebrity Surgeries - Page 3 of 142 - You wouldn't believe who has had it! Jane Fonda was born on December 21, 1937 in New York City, United States. In the ’60s, she started her performing career as she first debuted on Broadway. At the same time, she made her first screen appearance in the film Tall Story. During this period, she gained recognition for her roles in such movies as Period of Adjustment, Sunday in New York, and Barefoot in the Park. She later became acclaimed for her role in the 1969 film They Shoot Horses, Don’t They? which gained her first Oscar nomination. In 1971, she starred in the movie Klute, winning the Oscar for Best Actress. She won again in 1978 courtesy of her performance in the film Coming Home. She was also nominated for her works in Julia and The China Syndrome. In the ’80s, she starred in On Golden Pond, The Morning After, and 9 to 5. She retired from acting during the ’90s. The following decade, she came back with roles in Monster-in-Law and Georgia Rule. She became more active once again in the 2010s, starring in The Butler, Youth, and Book Club. In an interview, the award-winning legendary actress has confessed to getting plastic surgery. 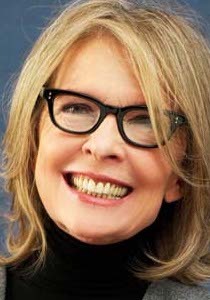 “I’m glad I look good for my age, but I’ve had plastic surgery,” said Fonda. She later revealed to have some work done on her eyes and jawline. Nonetheless, she also shares how she’s not proud of the fact that she’s had plastic surgery. “On one level, I hate the fact that I’ve had the need to alter myself physically to feel that I’m OK,” she explained. 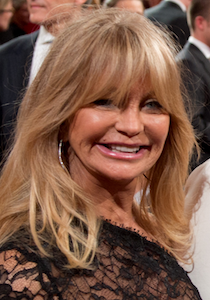 Goldie Hawn was born on November 21, 1945. She came to prominence in the late 1960s for starring on the NBC sitcom Rowan & Martin’s Laugh-In, which aired on TV from 1968-1970. Prior to that, she starred as Sandy Kramer in the sitcom Good Morning, World. She later starred in the film Cactus Flower, for which she won the Academy Award and Golden Globe Award for Best Supporting Actress. The following decade, she achieved further success for her performances in the films There’s a Girl in My Soup, Butterflies Are Free, The Sugarland Express, Shampoo, and Foul Play. In the ’80s, she starred in Seems Like Old Times and Private Benjamin. For her work in the latter, she received an Academy Award nomination for Best Actress. She continued performing in movies in the 1990s. She starred in Bird on a Wire, Death Becomes Her, Housesitter, The First Wives Club, and The Out-of-Towners. In the 2000s, she had roles in Town & Country and The Banger Sisters in 2001 and 2002, respectively, before taking a 15-year hiatus from acting. She returned to the screen with the 2017 film Snatched. This year, she appeared in the movie The Christmas Chronicles. Has Goldie Hawn had Plastic Surgery? Already in her 70s, the actress shows everyone how to age gracefully. However, it’s also been reported that the veteran actress has had plastic surgery, though she’s never admitted to having one. Botox and lip fillers are also possible, based on the actress’ appearance. In red carpet events, observers would notice that she’s younger than her actual age, thus the plastic surgery claims. On the other hand, Hawn also reveals that she doesn’t have any secrets to looking great. “I don’t have one. I really don’t,” the actress said. “It’s not a secret. I try to drink my juices. I try to work out every day a little bit.” She hasn’t mentioned of anything that relates to cosmetic procedures, though, which can only mean that she either has tried some cosmetic enhancements and just doesn’t want to tell or she’s really preferred to age gracefully. Molly Ringwald was born on February 18, 1968, in Roseville, California. She was only five when she started performing, first on stage. In 1979, she debuted on television as Molly Parker on the NBC sitcom The Facts of Life. Meanwhile, she made her cinematic debut in the 1982 film Miranda Dimitrius. She first rose to fame for her role as Samantha “Sam” Baker in the coming-of-age film Sixteen Candles. Her subsequent roles on the big screen established her as a teen icon. This was after her performances in the films The Breakfast Club and Pretty in Pink. She next starred in the feature films The Pick-up Artist (1987), Fresh Horses (1988) and For Keeps (1988). She continued her Hollywood career during the ’90s where she had notable roles in Something to Live for: The Alison Gertz Story (1992) and The Stand (1994). She next starred on the short-lived sitcom Townies. In the 2000s, she became widely known for starring as Anne Juergens on The Secret Life of the American Teenager. More recently, she starred as Paige Wayney on the Canadian series Raising Expectations. She next played Mary Andrews on Riverdale. This year, she had supporting roles in the movies The Kissing Booth and Siberia. 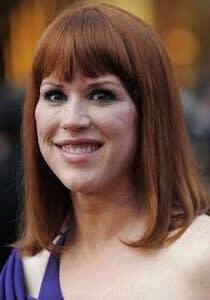 Has Molly Ringwald had Plastic Surgery? 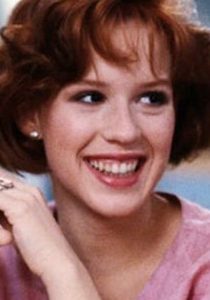 Being a teen icon during the ’80s, it’s easy to spot any major changes on Molly Ringwald’s appearance. Of course, there’d be the process of aging to consider. Nonetheless, many think the actress has had plastic surgery, which intends to deal with her aging in the first place. However, in an interview years ago, she talked about not plastic surgery as not part of her future plans. 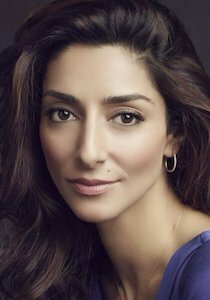 Necar Zadegan was born on June 20, 1982. She debuted in 2005 with a one-time role on The Bernie Mac Show. She later made several guest appearances on other shows, including Nip/Tuck, NCIS, The Unit, Lost, The Shield, and CSI: Miami, among others. Her career flourished in the 2010s, landing recurring roles as Dalia Hassan on 24 and Isabel on The Event. That same period, she made her big screen debut in the film Unthinkable. She also played the lead in the independent movie Elena Undone. Her first regular role on the small screen was as Gina Bandhari on Emily Owens, M.D. However, the show was canceled after one season. She next starred as Scarlet Leon on another short-lived show Rake. Her most prominent role thus far is the part of Delia on Bravo’s Girlfriends’ Guide to Divorce, a character she played from 2014 to 2018. Simultaneously, she played Shayna Velez on Extant. As of 2018, she stars as Special Agent Hannah Khoury on NCIS: New Orleans. In addition, she has also starred in HBO’s short-lived series Here and Now. Has Necar Zadegan had Plastic Surgery? The 36-year-old actress hasn’t had plastic surgery or any other cosmetic procedures, but she’s not saying no definitely. When asked whether she has had Botox or not, she said: “Not. Not yet anyway. Hopefully never. My mom hasn’t and she looks better than all the ladies I have seen that have. I hope I am as lucky.” In another interview, however, she emphasized the importance of taking one’s self through a healthy lifestyle. “My grandma was always a proponent of beauty starting from the inside,” Zadegan said. “You can put all this stuff on your face, but if you’re not eating right and sleeping right, it’s not gonna work.” To remain fresh and fabulous, she stays hydrated at all times, meditates, and exercises as much as she can. 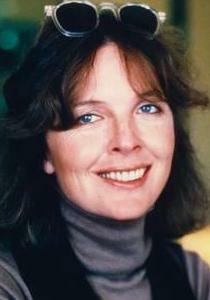 Diane Keaton was born on January 5, 1946. She first appeared on the screen in 1970 with her first major role as Kay Adams in 1972’s The Godfather. However, it was performances in Woody Allen’s films that made her successful, starting with Play It Again, Sam. She next starred in Sleeper and Love and Death. She also reprised her role as Kay in The Godfather Part II. Her performance in the 1977 film Annie Hall got her an Academy Award for Best Actress. That same period, she starred in the movie Looking for Mr. Goodbar. During the ’80s, she had notable performances in the movies Reds and Baby Boom. She got another Academy Award nomination for the former. The following decade, she starred in the feature films The Godfather Part IIIFather of the Bride and its sequel Father of the Bride Part II, The First Wives Club, and Marvin’s Room. In the 2000s, her performance in the 2003 film Something’s Gotta Give was critically praised. She next starred in The Family Stone. In the 2010s, she starred in Morning Glory, Darling Companion, Love the Coopers, and recently in 2018, Book Club. She also starred on the television series The Young Pope. Nonetheless, she admits to trying her best to fight the physical signs of aging, such as exercising. Overall, it seems that she’s also very hesitant to try plastic surgery. “My feeling is that everybody has their hands and their hands are always at the face, so if the hands don’t match the face it’s a little weird. My hands are the hands of the age I am. They’ve been through a lot and they look like it!” the actress said.